Patricia Ann Street - Edmonton's Burial & Cremation Professionals | Trinity Funeral Home Ltd. 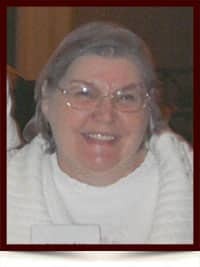 It is with heavy hearts that the family of Patricia Street, announce her sudden passing on March 25, 2017, at the age of 72. Left to cherish her memory are her sons; Edwin, Kevin and Shawn Hanna, daughter Lori (Jack) Dempsey, sister Bev Ully, brothers; Brian (Margo) and Don (Brenda) Ully, grandchildren; Robert, Jessica and Aaron Dempsey and numerous nieces, nephews and close friends. Patricia was predeceased by her parents Edward and Ina Ully, son Darrin, and brothers; Gary, Robert and Jerry. In lieu of flowers, donations can be made to The Canadian Diabetic Association, 12220 Stony Plain Road, Edmonton, AB, T5N 3Y4, in Patricia’s name.